Use MIB Designer to create, edit, manage, and explore SMI specifications. It ensures 100% correctness of the specification and thus best interoperability for your product. Refactoring of MIB specifications is easy and safe. Multi-platform application and license for Java SE. State-of-the-art SMI syntax and semantic checks. Copy&Paste nodes and sub-trees between multiple MIB modules. Tool plug-in interface to integrate 3rd party applications. Various output formats: PDF, XML, XSD, Text, HTML. Refactoring support with automatic update of object references. SMI revision control can block changes on released revisions that would change behavior on the wire. 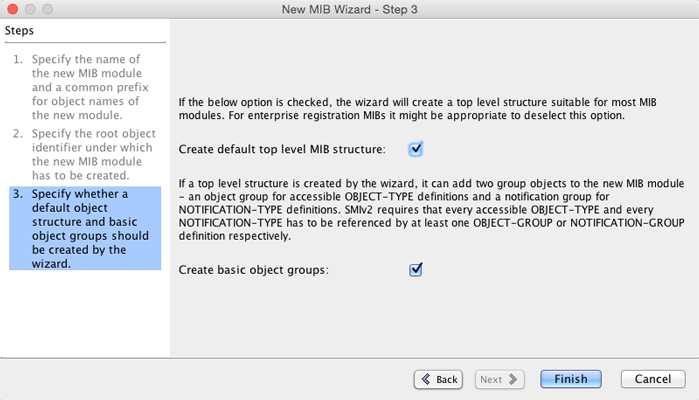 New MIB Wizard simplifies the creation of the basic structures for new MIB modules. 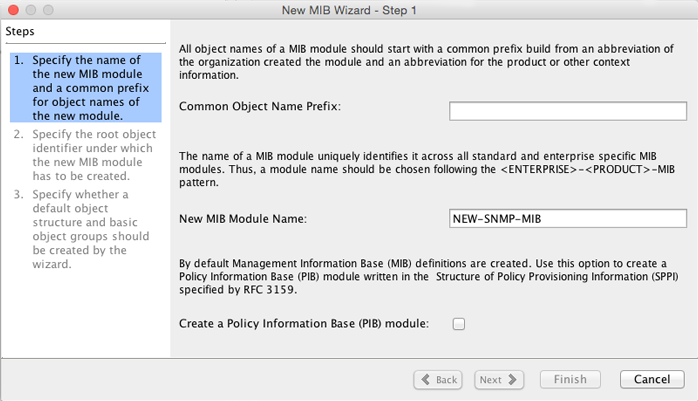 The MIB creation wizard helps you quickly create a basic MIB module with a scalable structure. Define your own common object name prefix to let MIB Designer create new object names using the defined prefix. The third step creates a best practise MIB structure and basic groups by default. 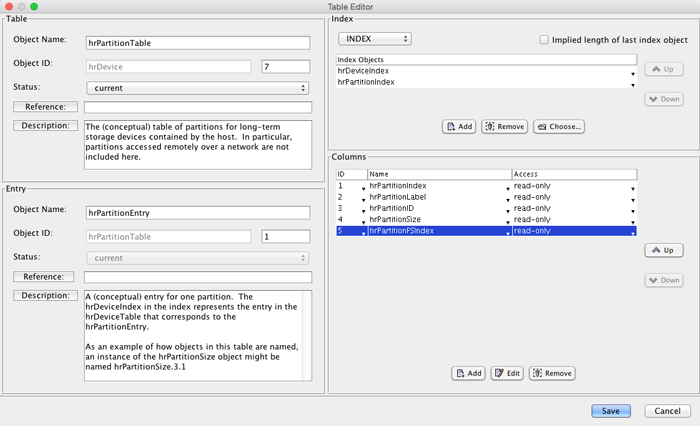 The table editor ensures consistent and easy SNMP table editing. 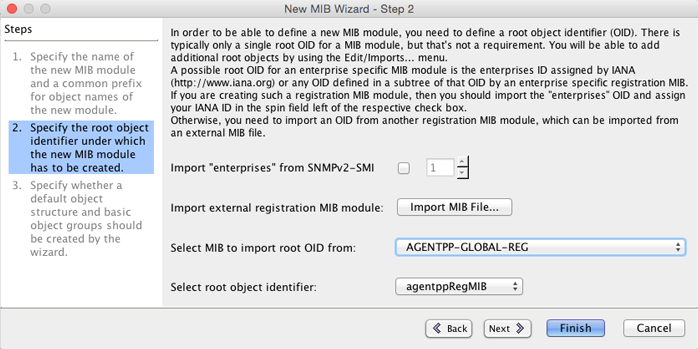 MIB objects can be selected from imports and the current MIB module according to SNMP rules. 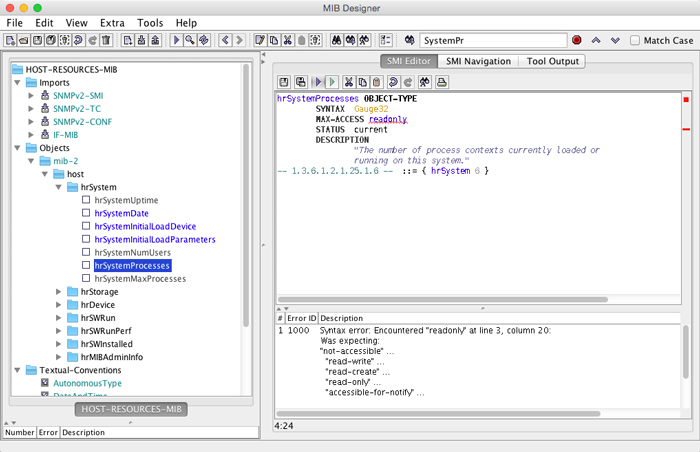 MIB object editors exists for any SMI (PIB) object types, including the AGENT-CAPABILITIES statement. 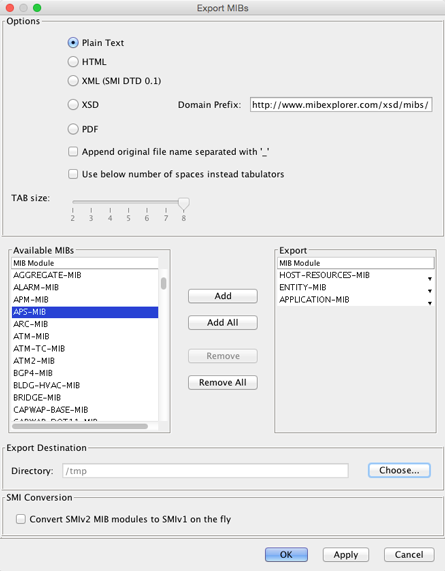 With the MIB Export dialog you can export compiled and created MIBs to various formats including XML.